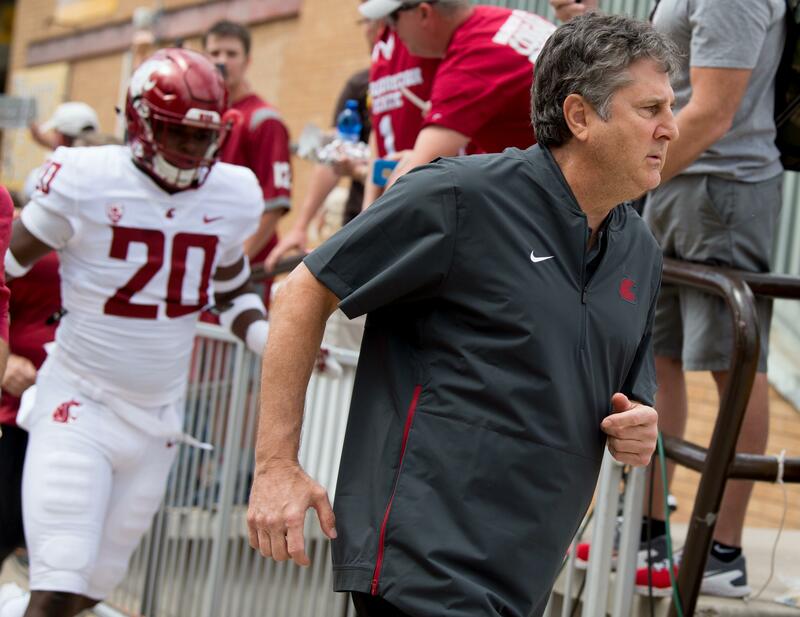 Mon., Sept. 3, 2018, 11:02 p.m.
PULLMAN – As a teenage boy growing up in small-town Cody, Wyoming, Mike Leach probably did not aspire to become the handsomely paid college football coach/national celebrity/best-selling author he is now. But adolescent Leach did have other ambitions. But the town’s most coveted job was the one that eluded him – something Leach still laments this day even as the seventh-year coach of the Pac-12 Cougars is set to receive $3.5 million in 2018 after signing a five-year, $20 million contract extension in December. Published: Sept. 3, 2018, 11:02 p.m.